A rare opportunity to purchase a substantial stone built character property situated on the fringe of the historic village of Dyserth. 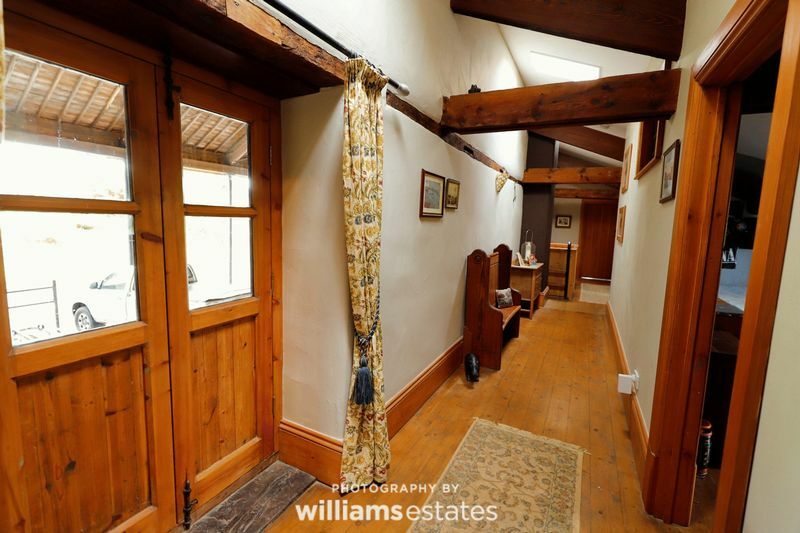 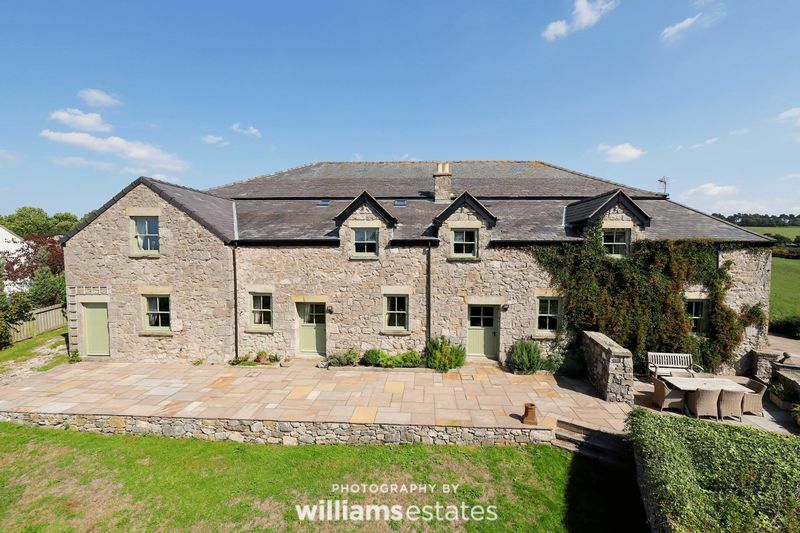 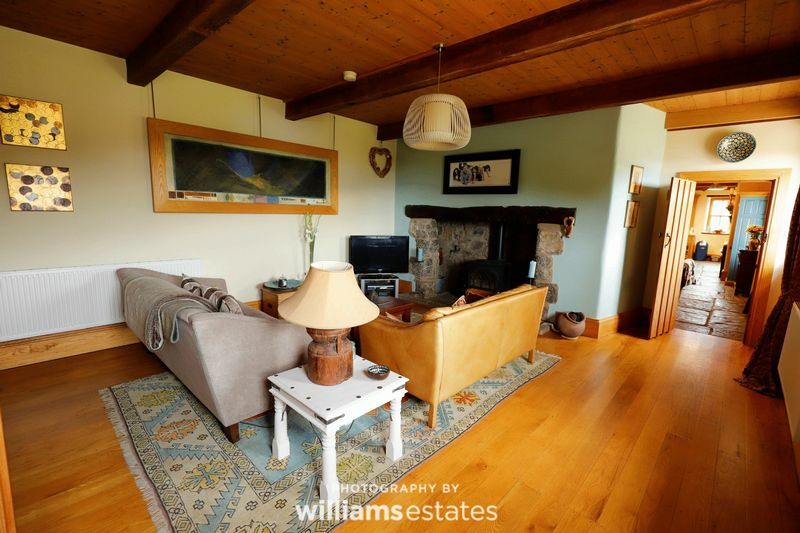 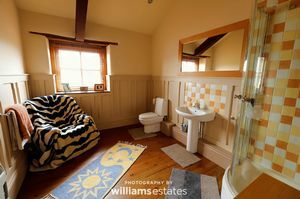 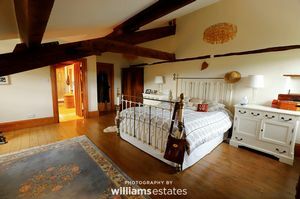 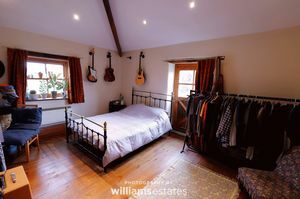 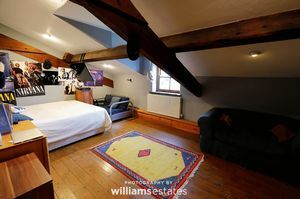 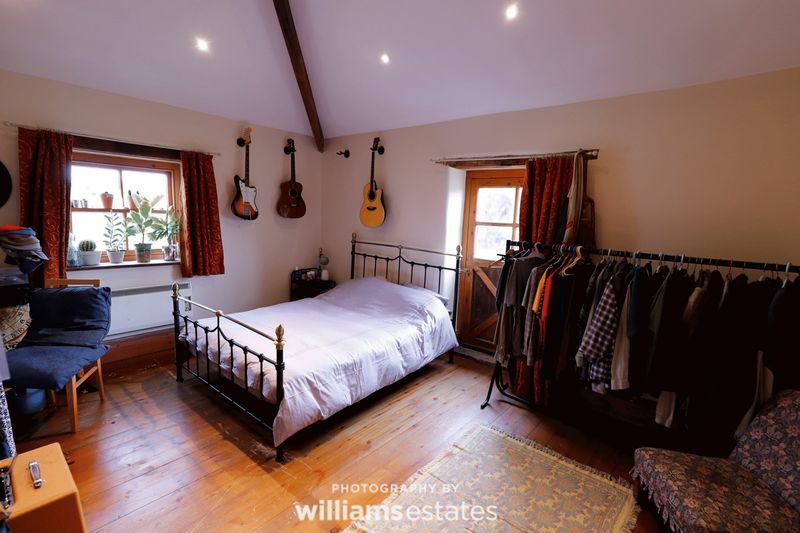 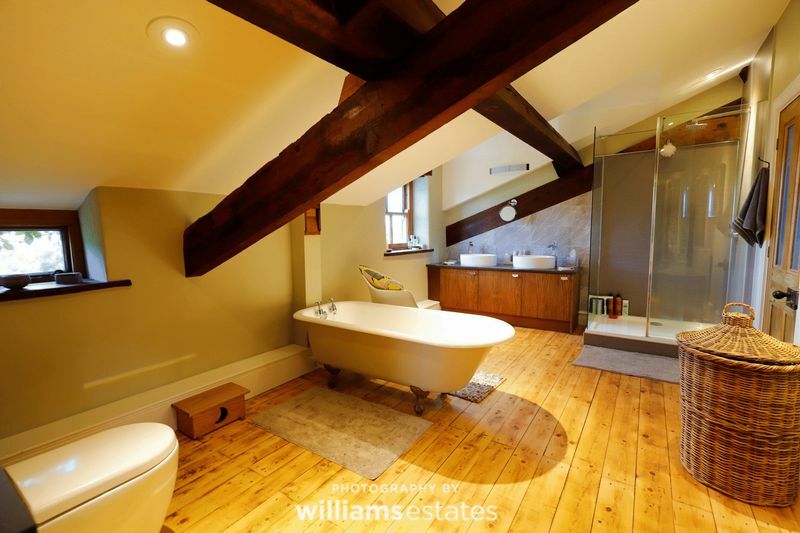 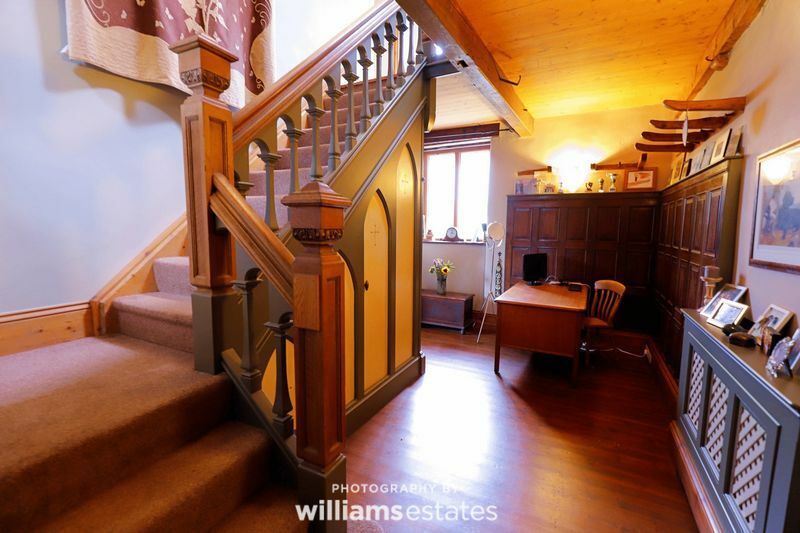 This imposing Grade II listed barn conversion has been meticulously maintained and improved, boasting many original character features married with modern amenities. Tasteful upgrades such as bespoke Georgian style windows and ornate woodwork are evident throughout and the spacious and versatile living accommodation lends itself perfectly for large families. 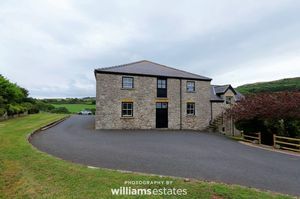 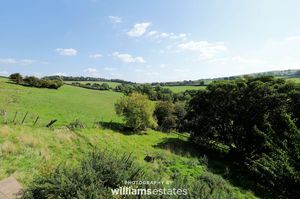 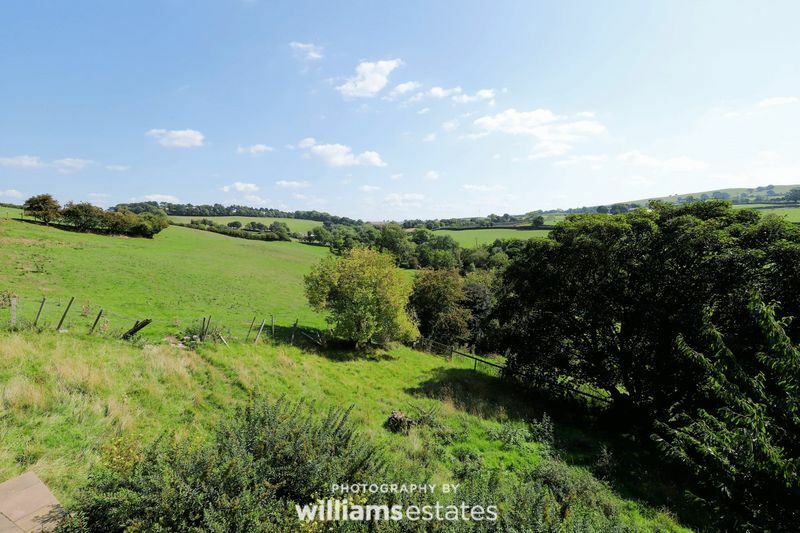 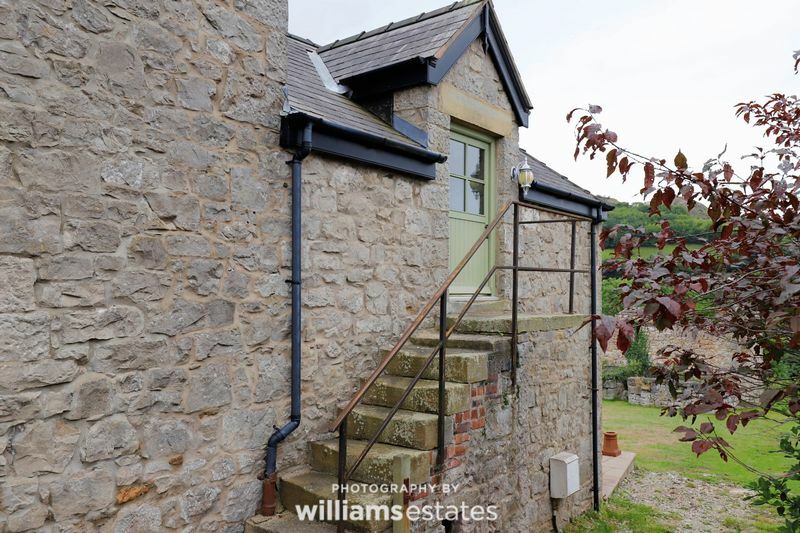 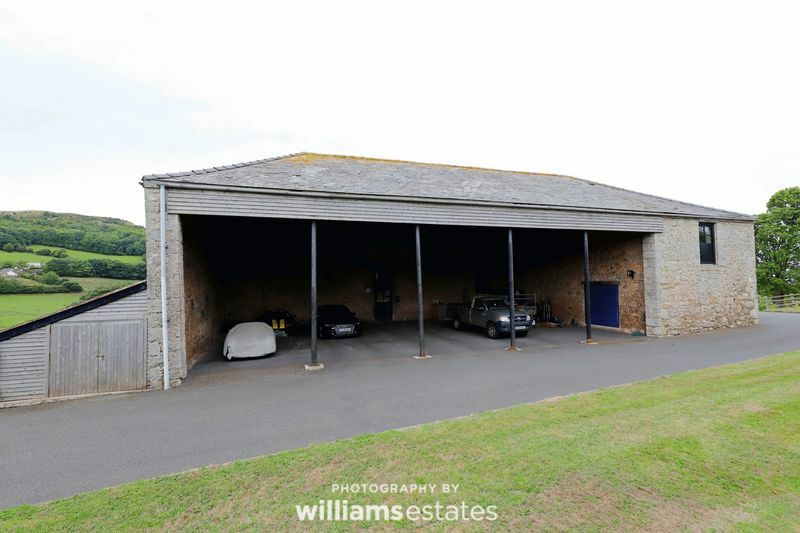 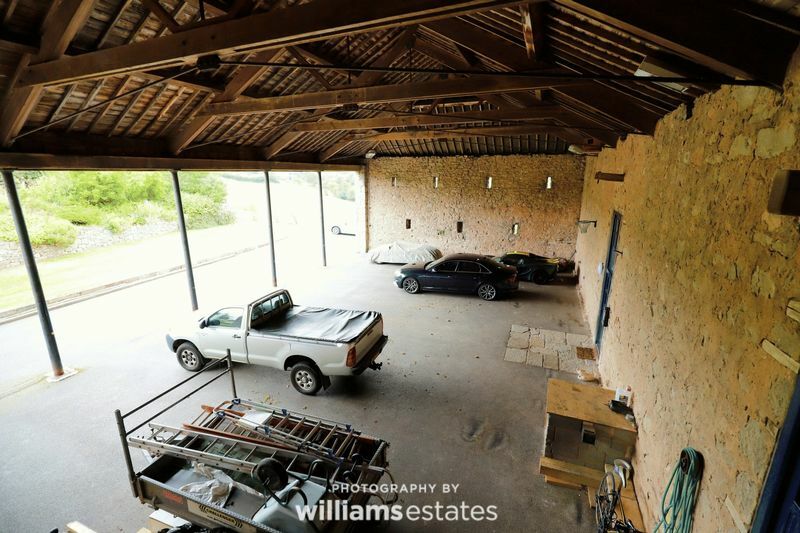 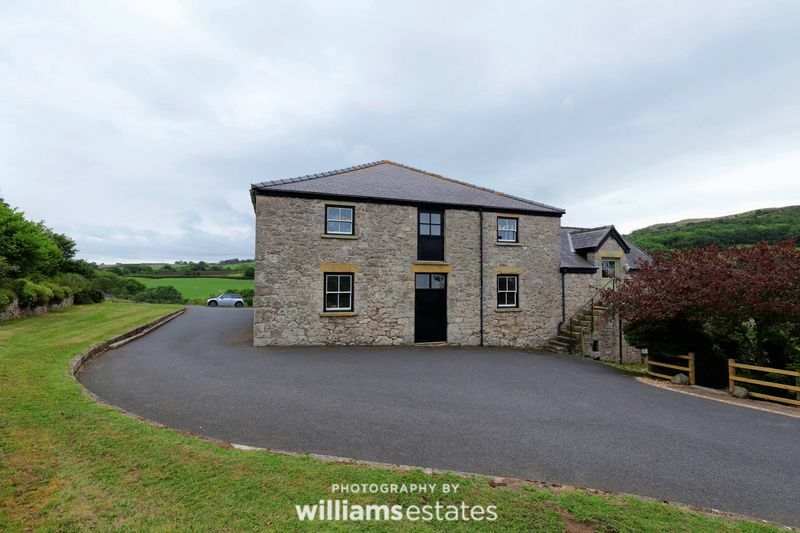 The gardens enjoy breathtaking, far reaching views across the open countryside with a particular feature being the large threshing barn providing a spacious covered area ideal for housing many vehicles and large motor homes. 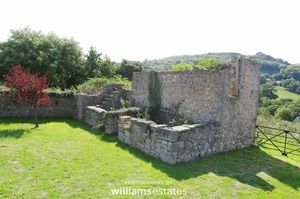 The remains of a charming stone piggery also offer scope for conversion subject to the necessary permissions being obtained. 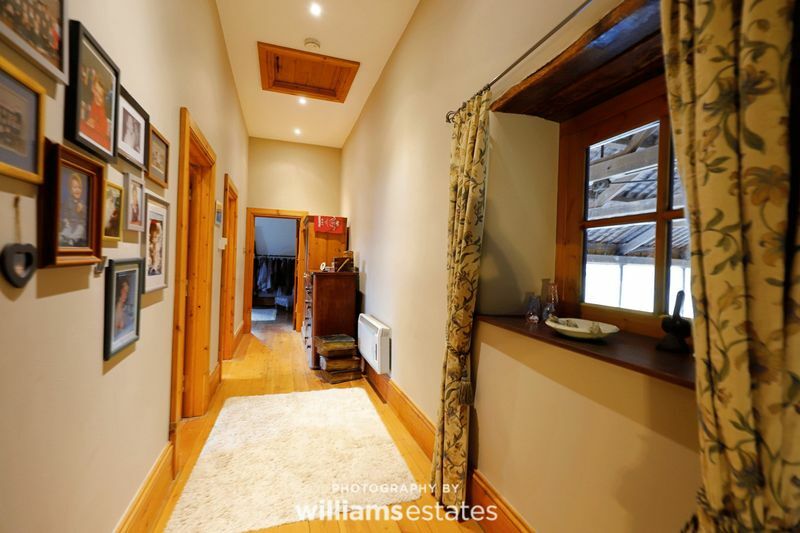 Viewing is highly encouraged to appreciate the attention to detail throughout. 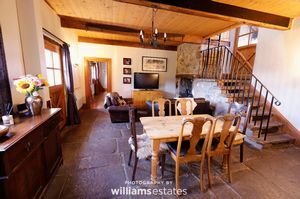 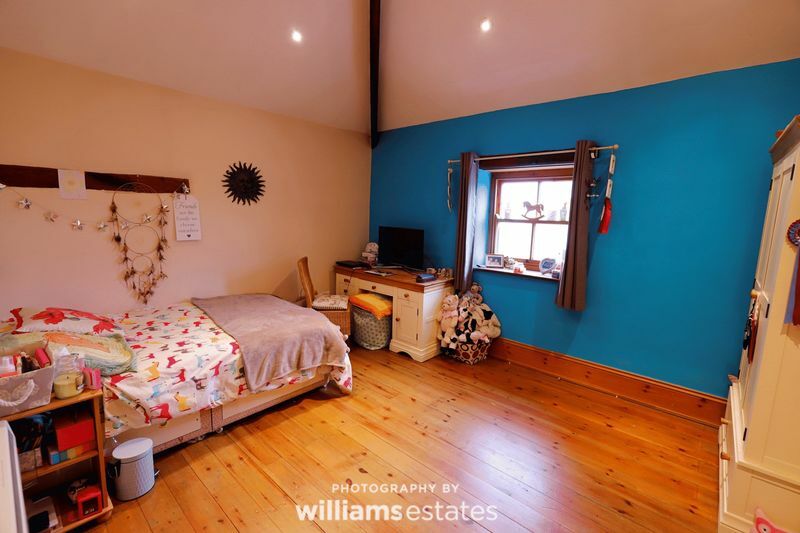 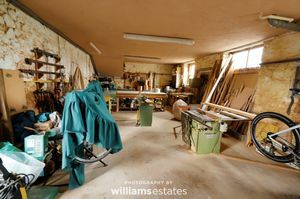 The property is approached by a long shared access sweeping tarmacadam driveway to the front leading to the covered threshing barn. 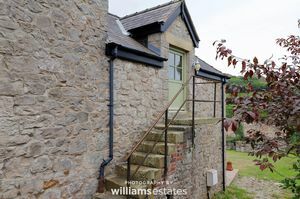 The rear garden has a large paved patio with lawned garden and log store with feature stone walling and offering extensive countryside views. 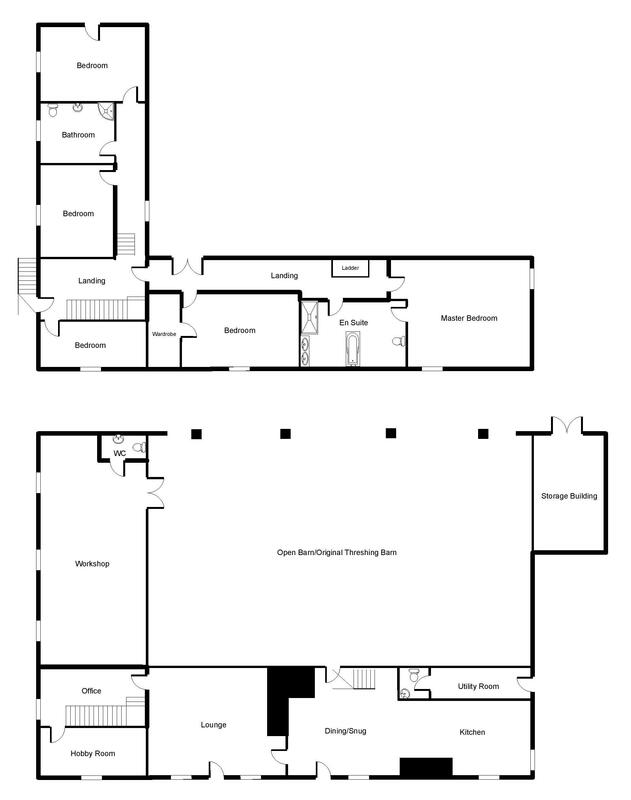 A particular feature is the remains of an original piggery which is stone built and offers scope for conversion subject to the necessary planning permissions being obtained. 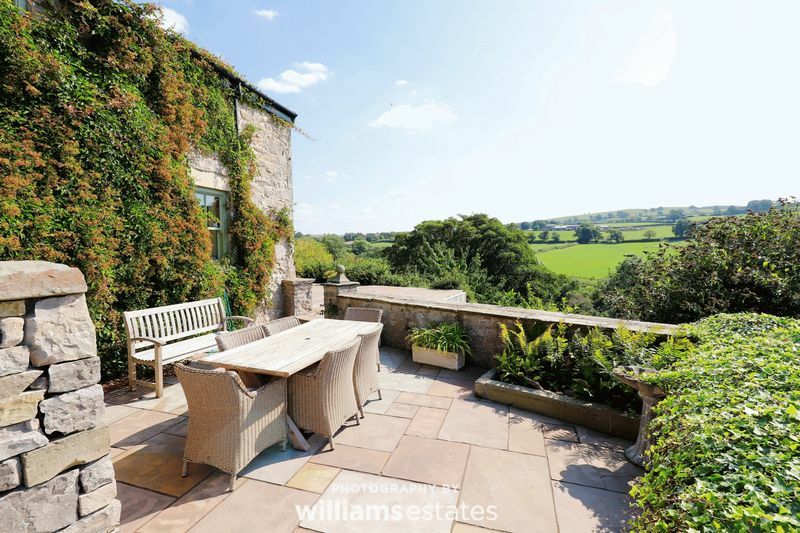 The patio continues around to the side elevation with further paved patio area with extensive countryside views. 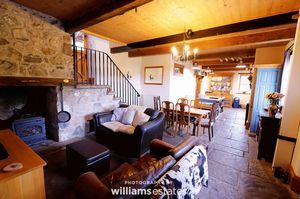 The heating is fuelled by oil with cooking provision provded by propane gas. 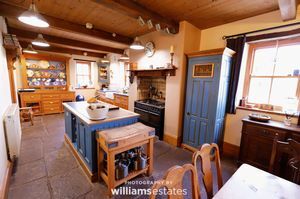 The central heating is fuelled by oil with cooking provisions utilising propane gas.